Receive an exclusive Bare Biology discount code with your next dress rental at Girl Meets Dress ! Lacking omega 3, but don’t like fish? Here at Girl Meets Dress, we’ve found the solution and its Bare Biology supplements, according to their company website ‘it’s the champagne of fish oils.’ Who doesn’t love champagne? 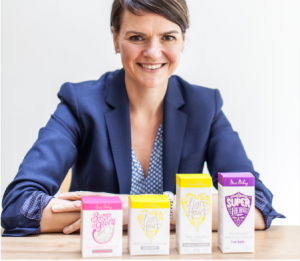 In 2012, Melanie Lawson, the founder of Bare Biology, wanted to find an Omega 3 supplement that was pure, fresh and strong enough to pack a punch, so she decided to start researching and one year later, she found the solution and that’s when Bare Biology was created. Bare Biology is an Omega 3 supplement, that caters to everyone from children to adults and even pregnant women. 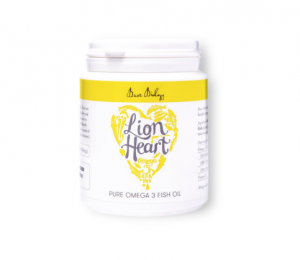 The Lion Heart range is available in both capsule and liquid form. Their Bump & Glory is available in capsule form and their children’s range, Super Hero, is available in liquid form. All of their products promises no fishy taste. These products are perfect for people who lead a busy lifestyle and want to lead a balanced lifestyle, by getting in enough supplements. Clinical trials have shown the anti-inflammatory effect of Omega 3 to have a very positive impact on conditions such as atopic dermatitis, psoriasis, acne, eczema and rosacea. We love the sun and we need the vitamin D, but the harmful effects of UV radiation are both terribly ageing and can cause skin cancer. Omega 3 has been shown to reduce the effects of UV rays. So, there’s a strong case for upping your Omega 3 for the sake of your skin. Bare Biology is available in the UK at Planet Organic or Whole Foods. Posted February 15th, 2017 in Partner Offer. Tagged: 30% off Bare Biology, Bare Biology Discount, Dress Hire, Girl Meets Dress, Omega 3 Supplements, Rent designer dresses, space nk bare biology, vitamins, whole foods market bare biology.